There’s always been a strong emphasis on making stretching part of your exercise regimen, but including it as part of your daily routine is just as important to your health. That early morning stretch is often equivalent to a cup of coffee – it wakes you up and it just feels so good. However, when you’re short on time, you often skip this part of your morning ritual or exercise regimen. This is a bad idea as stretching – be it at your desk or before you begin a cardio session – is a fundamental aspect of your health and it’s often taken for granted. Stretching keeps the muscles loose and healthy and this ensures our productivity. If we don’t stretch, our muscles can shorten and become tight which can then lead to strains and joint pains. Chronically tight and tense muscles can make your joints weaker and more vulnerable. If your muscles are tight and you engage in demanding activity – be it a gym class – your muscles may become damaged from the sudden stretch. If the muscles are kept lean and flexible – there is less chance of strain and injury. Stretching isn’t just part of your exercise regimen- it’s quite frankly the most important thing. After exercising your muscles may feel tight and if not stretched out, you increase the risk of injury. Include a stretching routine in your exercise regime to ensure your body remains fit and healthy. Aside from affecting your mind, chronic stress can result in unwanted strain on your muscles. Regular stretching can reduce the tension in your muscles and if you incorporate breathing techniques, you can also decrease mental strain. When you’re in a stressful situation- your blood pressure is usually elevated so stretching can help to lower it. Stretching – like other forms of exercise – encourages the release of endorphins and this helps to combat the stress. pain. Being seated at a desk all day involves repetitive movements and this can lead to poor posture and a strain on our glutes. Once our glutes become too strained, they basically shut down and our other muscles and joints begin to feel the strain of that and this then leads to pain in the knees and lower back. These circumstances soon result in intense and tight muscles. Through stretching, your body can better deal with the muscle tension. According to a study published in SAGE Journal, stretching – alongside a healthy diet – can improve cardiovascular health, even reducing cholesterol levels in the body. As stretching increases your flexibility – this also affects your blood flow and circulation. Improved blood flow and circulation promotes healthier skin and a healthier heart. When our muscles tighten due to fatigue – we often feel even more sluggish. Standing up and performing a few good stretches can provide the energy boost needed to get through the day. Although stretching is important – it’s even more important that you don’t overstretch to the point where you pull a muscle or hurt a joint. Remember to focus on areas of concern and to hold the stretch for at least 15 seconds. 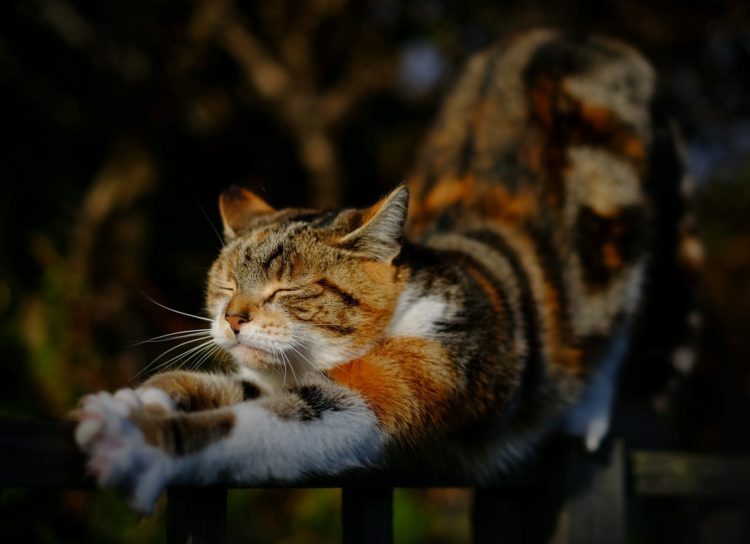 Have a good stretch! Here are the best stretches for everyday health. Click here for 4 easy steps to healthier muscles.